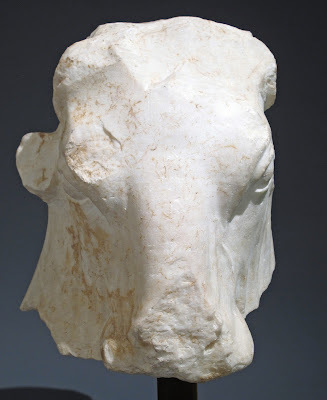 The Art Law News presented in this, Sukonik Fine Art, Ides of March ongoing Art News Blog comes courtesy of the Center for Art Law in New York City, USA and ARCA Art Crime and Cultural Heritage Resources. The blurbs below can be researched at your pleasure. Today’s entries are notes fascinating current events, ongoing news, and legal reporting. California Attorney General, Kamala Harris, has urged the federal appeals court to reverse a lower court decision and reinstate a case brought by San Diego heirs of a Jewish art collector who was forced to give up a Camille Pissarro painting currently valued at $20 million in exchange for a visa to escape Nazi Germany shortly before World War II. The painting is currently at the Thyssen-Bornemisza Collection Foundation in Madrid, Spain. 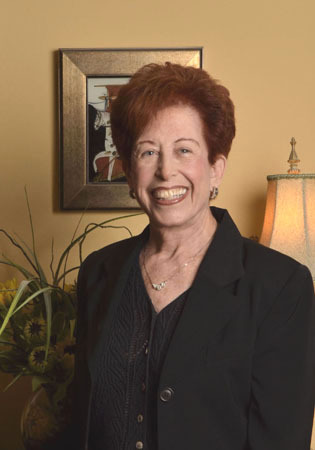 In June, 2015, a judge ruled that the museum is the rightful owner of the painting, not the heirs of Holocaust survivor Lilly Cassirer, triggering the most recent Appeal. The first case of its kind has begun at The Hague, where former teacher Ahmad al-Faqi al-Mahdi is charged with destroying nine mausoleums and the 15th century Sidi Yah mosque in Timbuktu in northern Mali. This is the first time the court is dealing with the destruction of cultural heritage as a war crime. The trial to determine the rightful owner of a pair of paintings, ‘Adam’ and ‘Eve’ by 16th century painter Lucas Cranach the Elder is currently underway. The dispute, began with a 2007 lawsuit filed by Marei Von Saher, the heir of Holocaust victim Jacques Goustikker,. Von Saher claims the paintings were never properly restituted to the family after German Nazi Hermann Goering took the paintings in a forced sale of Goudstikker’s collection in 1940. The Norton Simon museum purchased the paintings in 1971 following a period in which the paintings had two separate owners. The suit calls for the return of the works as stolen property. The pair of paintings were appraised at $24 million. Camille Pissarro’s 1886 ‘Shepherdess Bringing in Sheep’ will be transferred to Leone Meyer, a French Holocaust survivor whose father owned the painting when it was stolen by the Nazis during World War II. The painting bearing a label that explains the painting’s history, including its seizure by the Nazis and restitution in Court. will be displayed in a Museum in France for a period of five years after which it will rotate between museums in Oklahoma and France. Spain’s National Court ruled that Jesus Angel Bergantinos Dias could be extradited to face charges in NYC for being part of the 15 year long forgery scam that shook the art world. Diaz and his brother Jose (still at large) are accused of commissioning and selling fake art works attributed to several abstract expressionist masters to Knoedler Gallery of New York . New York art dealer Glafira Rosales has pleaded guilty. Pei Shen Qian, the Chinese artist who created the forgeries has fled to China. 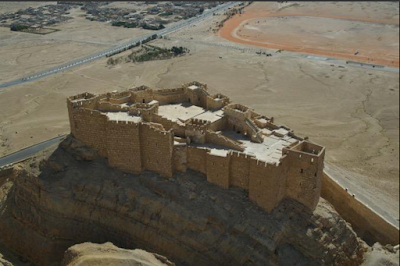 Mankind’s cultural heritage, the Fakhr-al-Din al Ma’ani Castle thought to have been built by the Mamluks and occupied by Lebanese Maanite Emir in 1590, is destroyed. 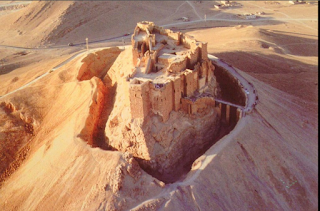 The castle, once a magnificent structure, overlooks the UNESCO World Heritage Site of Palmyra in Syria. Sustained armed groups fighting against one another or the current Syrian governing authority have exploited the site claiming it as militarily strategic to their opposing forces. Issues of international law and Hague Convention provisions and protocol relating to the safeguarding of and ‘respect’ for cultural property have been ignored. This heritage site has become a causality of war. Whether or not, the damage was ‘imperative military necessity’ is a matter which will be debated for years to come. The General of Antiquities and Museums at the Syrian Ministry of Culture is currently assessing the damage inflicted on the ancient city along with its museum in order to be able to set plans and visions for emergency and urgent intervention through adopting a clear and scientific method for stabilizing the castle of Palmyra the gate of the Temple of Bel, the structure of the museum and damaged statues. Architectural plans for restoration work within definite deadlines are already in the works; this is because a large part of the architectural elements of the damaged monuments can be reused in restorations so as to retain the city’s originality and identity. Further, plans and visions will be devised and designed in cooperation with national and international partners taking into account international standards and convention. When reflecting on calls to restore Palmyra to its former glory, some authorities in the international community, argue that it may be to early to begin thinking about heritage while conflicts in the area are sadly far from concluding. Others believe that rebuilding helps a people find normalcy where it is sorely amiss. They ask why should people wait to begin recreating normalcy based on a time -stamped date at which time the world agrees that peace has been achieved? Heritage damage in wartime is symbolic of what has been lost. The yearning restore emblematic monuments to their former glory can be symbolic of a citizenry’s own desire to pick-up the pieces of their own lives and put them back together. The Director General of Antiquities of and Museums of the Syrian Ministry of Culturei n Damascus Syria, Prof. Dr. Maamoun Abdulkarim has thanked UNESCO and all interested countries, organizations, experts and financiers who support resurrecting Palmyra, with the view that cultural heritage and identity are global responsibility. Prof. Dr. Maamoun emphasis that plans and visions will be devised and designed in cooperation with national and international partners taking into account international standards and conventions applicable worldwide. The largest recorded haul of plundered antiquities , 5,362 ancient artifacts are returned to Rome, Italy. Initially stolen by Italian and Swiss criminal these treasures are returned following a 14 year criminal investigation. The returned treasures were displayed are currently on view for the public, in the Colosseum. The precious haul, contains objects dating from the eighth century BC to the third century AD. “It is the largest recovery in history in terms of quantity and quality,” said General Mariano Mossa, the head of the Carabinieri cultural heritage protection division, the Tutela Patrimonio Culturale (TPC). General Mossa said the stolen antiquities, were recovered from warehouses in Switzerland, were they were being held in storage awaiting restoration there before being sold to Germany, Britain, the US, Japan and Australia where their sales would have been negotiated with forged ownership documents. The victory of the recovery is bittersweet; archaeological sites have been plundered and orphan objects have lost their context. Unfortunately, we can only guess where and in what context these objects belong. Many of the recovered vases, jewels, frescoes and bronze statues, displayed at the National Roman Museum, are thought to have been removed from illegal digs in the southern regions of Puglia, Sicily, Sardinia and Calabria. It will be a tremendous task for archaeologists to research the cultural heritage of these thousands of precious artifacts. Other works are lost, and have been sold abroad. Photographs and documentation were discovered during the recovery of plundered treasures from the raids in Switzerland ,and these may hat these might aid the recovery of those artifacts. Some may even have been purchased in good faith by reputable museums.